I visited Shirakawa City today. 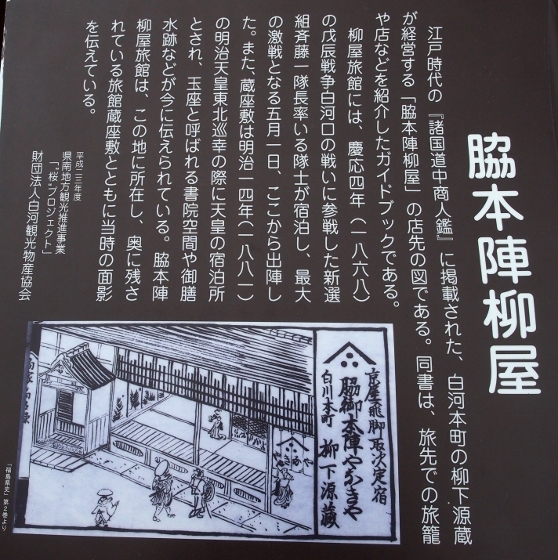 Commemorating 150th anniversary of the end of Boshin Civil War, some of the restoration works for historic sites have been done in the city. 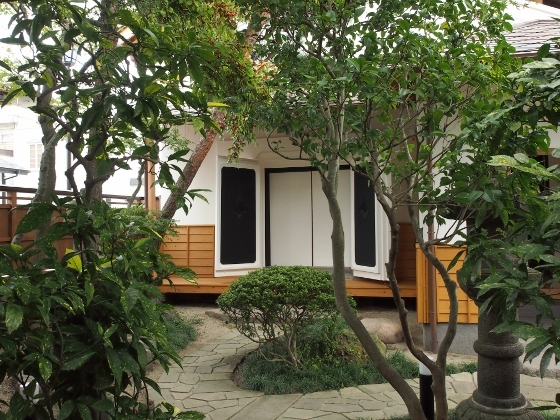 Former Yanagiya Ryokan site, as shown above, was one of them. 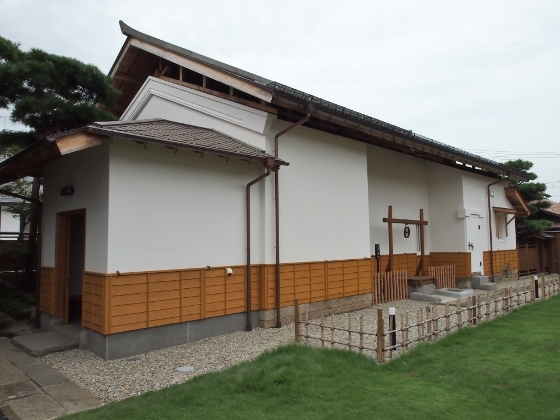 This was an upscale inn for high-ranking samurai in Edo Period. After Meiji Restoration in 1868, the Emperor Meiji rested at this place on the way to Tohoku region expedition in 1881 and stayed at here on the way back. The photo shows the front garden and symbolic kura-type or storehouse-type building. 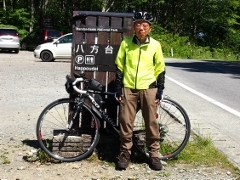 The location was 3-minute walk from JR Shirakawa Station as shown in the map below. 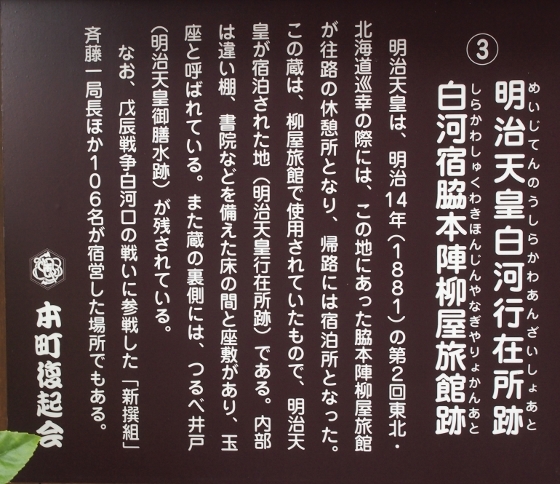 A couple of brief description boards above in Japanese, both of which stood at the site, said the inn was used by a large samurai group of 106 which fought against new Meiji Government forces at Shirakawaguchi Battle on May 1st of 1868. This was the largest battle in Shirakawa. 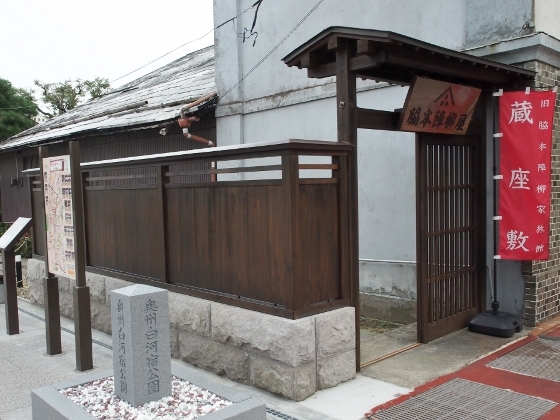 A photo above shows a front gate of the former Yanagiya Ryokan. 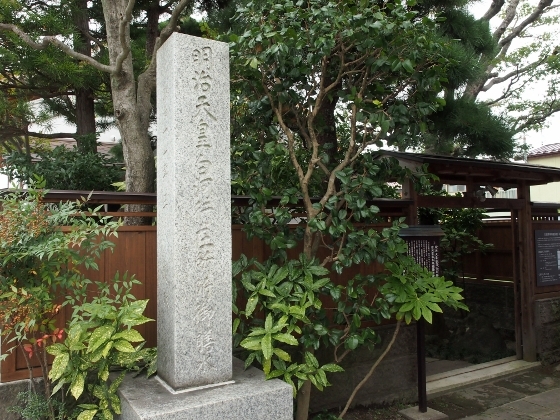 Photo above shows a stone memorial for the stay by the Emperor Meiji in 1881. A whole appearance of the renovated building is shown above. The original building was built in 1804. Because it suffered damage by the March 11th earthquake in 2011, repair and restoration work began in 2015 and completed on March, 2018. 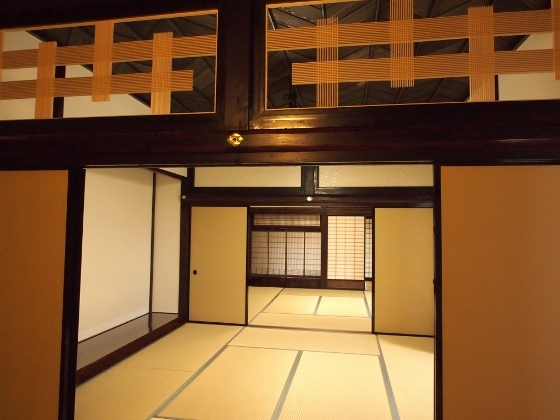 A photo above shows the interior which consists of three Japanese-style tatami rooms. There was a well in the exterior. 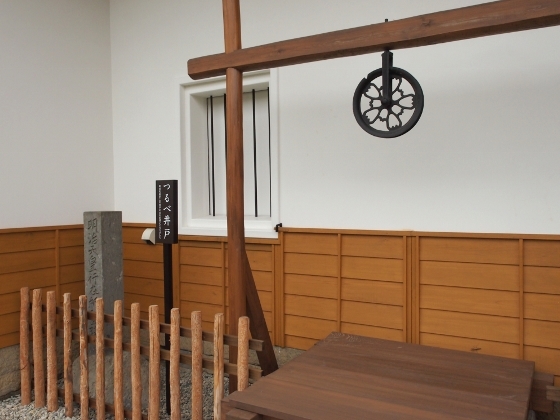 The well was 9-meter deep and it was used to provide fresh water for the Emperor Meiji. 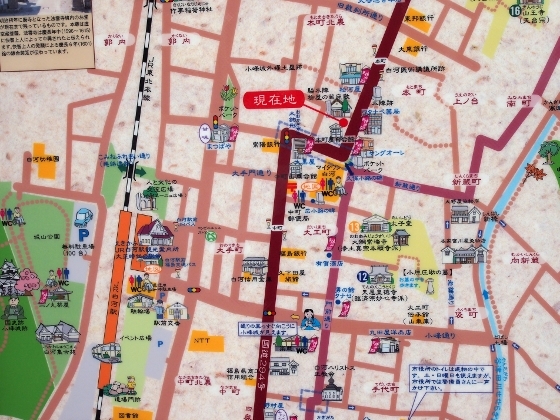 In the map above, which stands at the site, red sign shows the location of Yanagiya Ryokan. It is close to JR Shirakawa Station which is shown in the bottom left. There were about 50 inns in this Motomachi district at the time along the old Oshu Highway, which is now a national route 294.